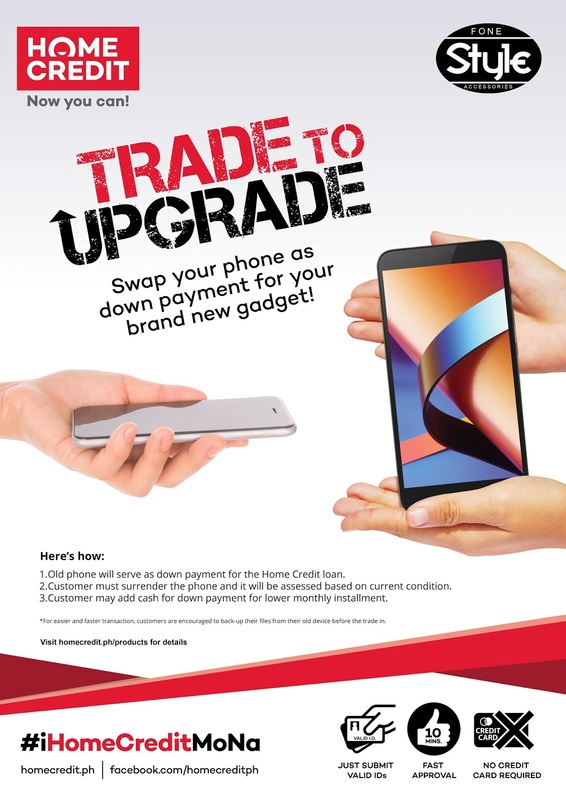 Home Credit Philippines has brought another service in the local market that will greatly help a lot of smartphone users in upgrading their devices, especially this time of the year. This new service is called Trade to Upgrade. While the program name sounds new, its mechanics is something we are already familiar with. Trade in our old device for cash discounts or a downpayment when applying for a new device installment plan through Home Credit. To avail this Trade to Upgrade service, all you have to do is visit any Home Credit participating stores near you, present two valid IDs and wait for 10 minutes for the result of your application. Once approved, the Home Credit representative will do the evaluation of your old device's value which then you can use as a downpayment for your next gadget. Trade to Upgrade can cover a financial amount between Php3,000 and Php60,000 for nine to twelve months and you can also opt to add cash to the value of the mobile phone you want to swap. See more details below. In case the value given to your old unit is lower than the required minimum downpayment of the new device you wanted to get, you can simply add cash to accommodate. To learn more about this particular new service, you can visit or approach any in-store Home Credit sales associate.